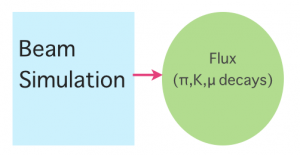 Flux combines geometry with hadronic physics (initial production is especially important), energy loss, and decays. Initial particles are 120 GeV or 8 GeV protons. Primary tools could be a Geant4 base simulation or a fluka for physics; glued together via a package called flugg. 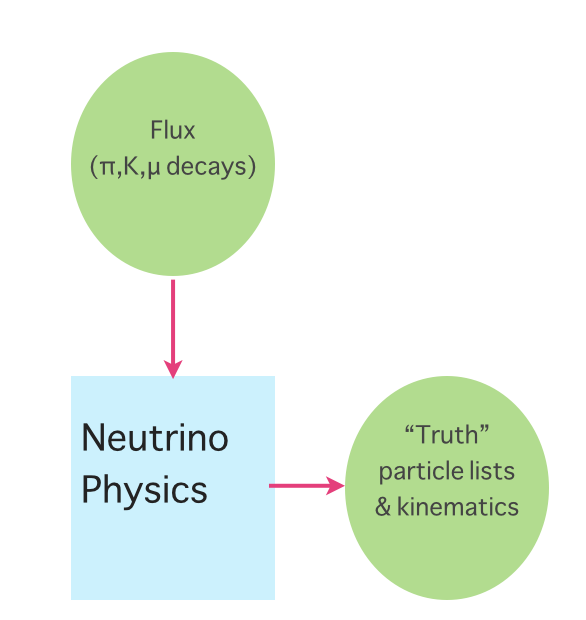 Combine flux and geometry with neutrino physics usually with GENIE, which can be used stand-alone like MINERvA does or it can be embedded in the offline framework which is how NOvA, LArSoft and eventually MINOS will do it. Bulk properties include reinteractions, decays, energy loss and transport. Particles to be dealt with range from 100 GeV to 25MeV. Emphasis is on the sub-5GeV range. 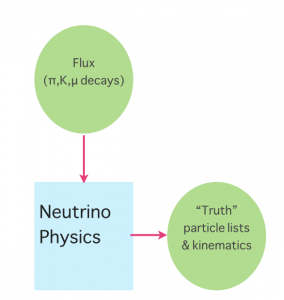 Particles include all species of hadrons, charged leptons and ions. Only MINOS is magnetized, but the list of materials run the gamut from low density single element liquid Argon, to complex admixtures of materials and densities. 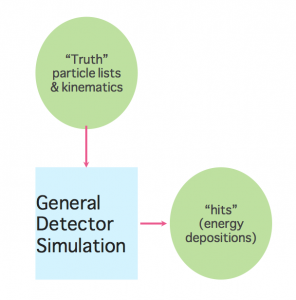 Basic particle physics combined with specific detector geometries. 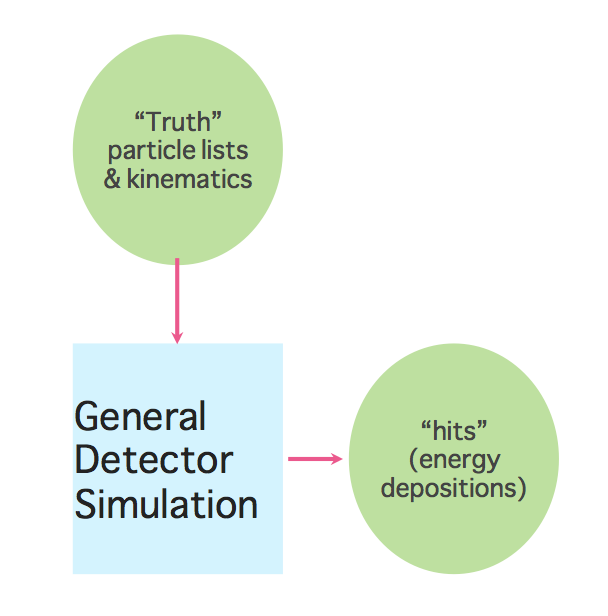 The stage of converting energy depositions into “raw digits” involves the specific technology of the detector. Only the LAr experiments can make much use of code sharing due to the significant differences. 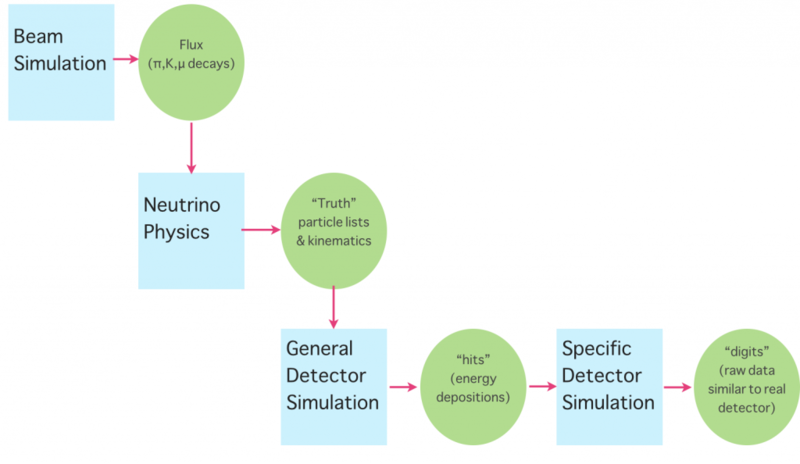 For more information, please consult the source for this information — Robert Hatcher’s Simulation Tools in Neutrino Experiments.